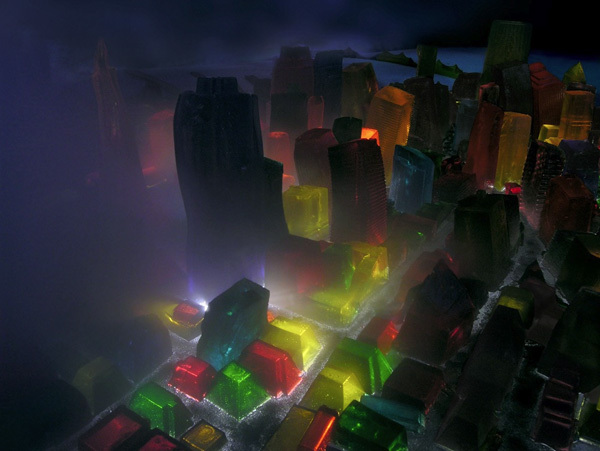 San Francisco remade using Jell-O then lighted from below and photographed. 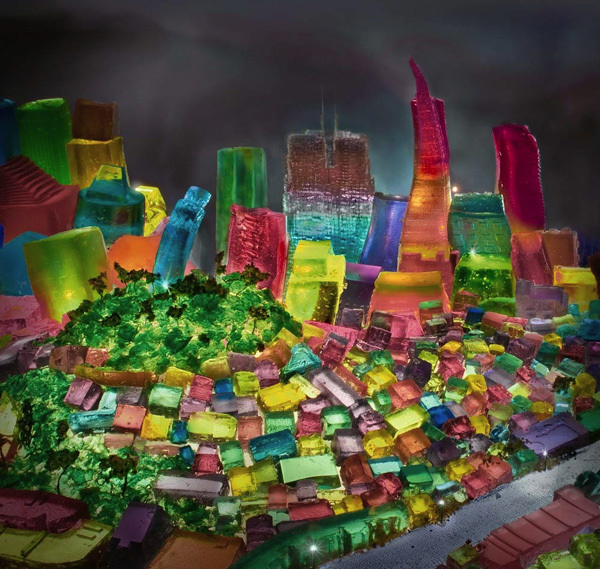 I cast elaborate scale models of urban sites out of Jell-O, light them from below, and bring them to life with photography and video. 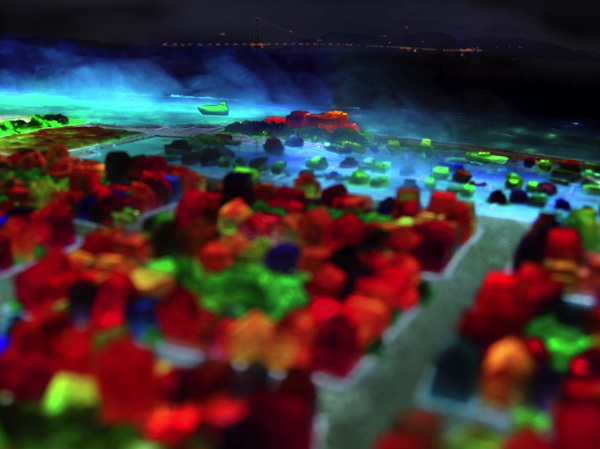 The molded shapes of the city blur into a jewel-like mosaic of luminous color and volume. Remade in an unexpected material, seemingly permanent architectural structures are transformed into something precarious and ephemeral. 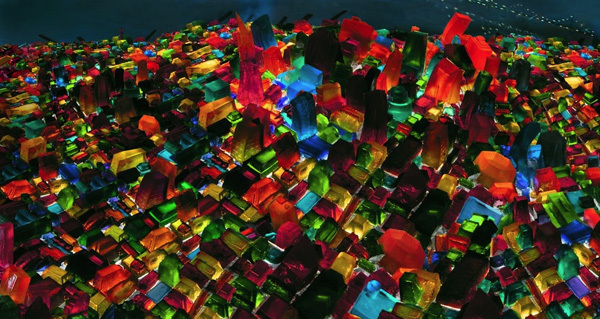 I drew the inspiration for this project from my immediate surroundings—San Francisco, where the geological uncertainties of the landscape evoke uncanny parallels with the gelatinous material. 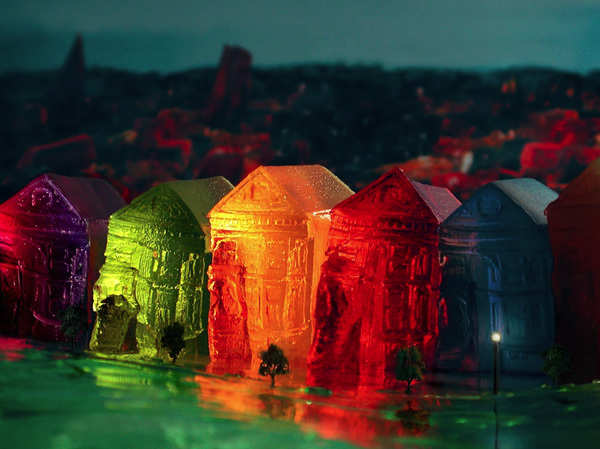 I construct my own vision of these locations with props and backdrops as if they were small movie sets. 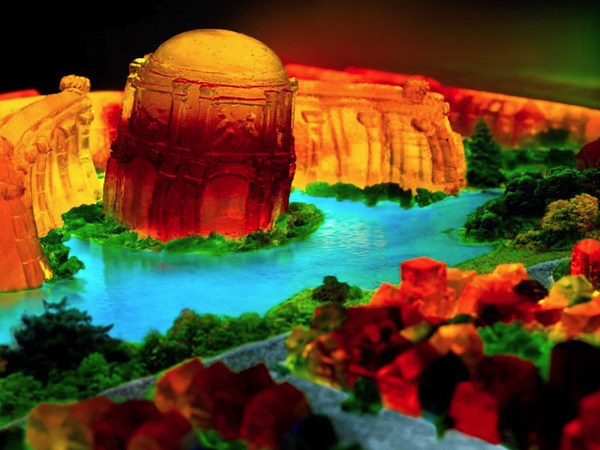 The photographs I take capture imaginary landscapes, while the videos illustrate the power of nature's destruction.